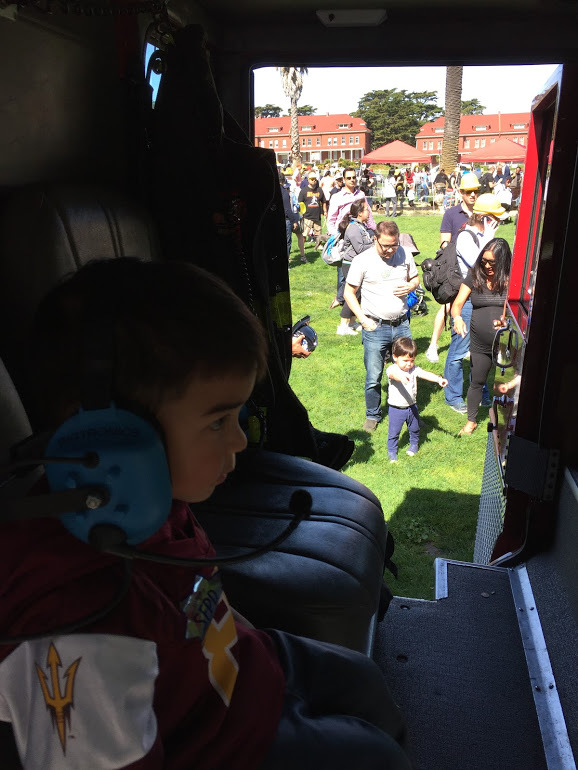 Franco went to his first touch-a-truck event and it was a blast for adults and kids! 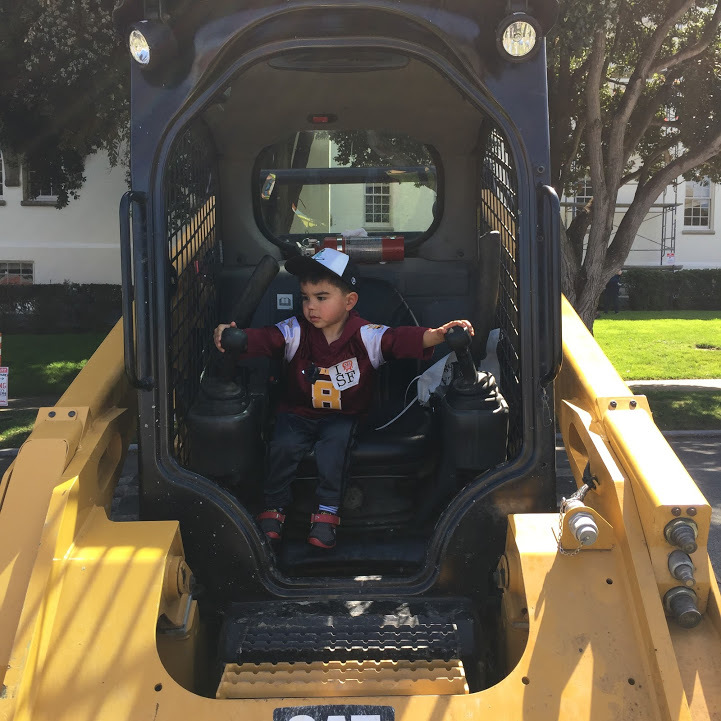 On a beautiful sunny day at the Presidio in San Francisco, Franco was able to touch, climb, steer and honk his way through a police car, fire engine, dump truck, moving truck, excavator, and cement truck. I had so much fun! 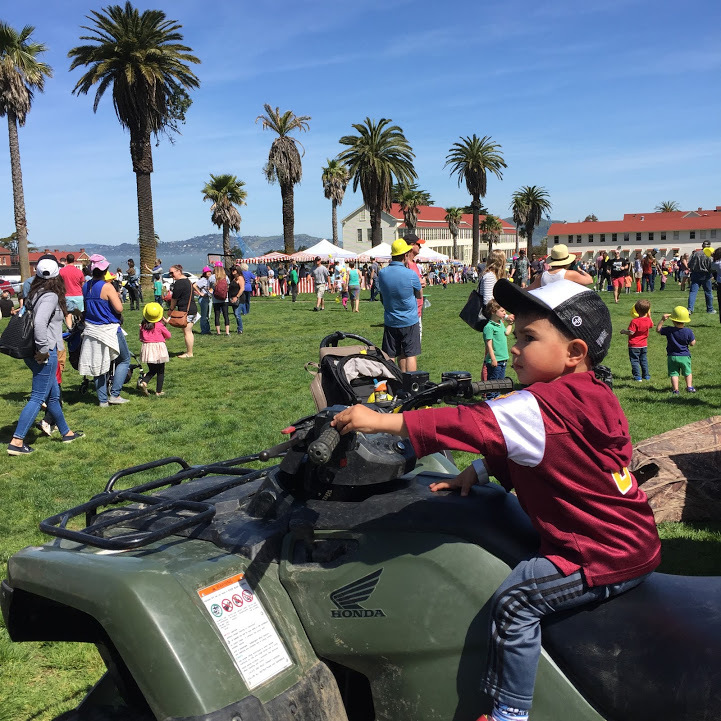 Ahem, Franco had so much fun! 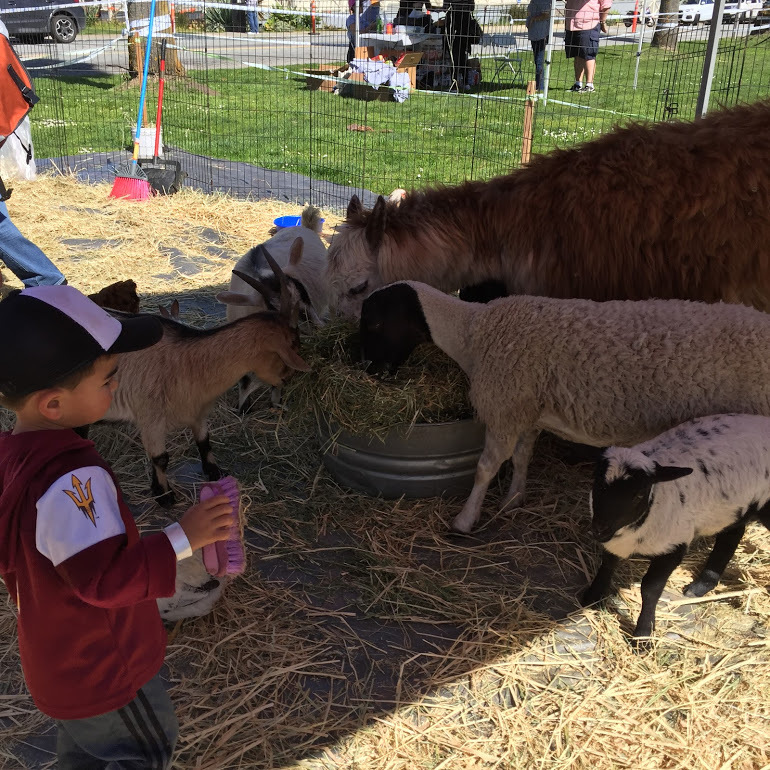 In addition to exploring the machinery, there were carnival games and prizes for the kids, a petting zoo, a bubble zone, and food trucks. 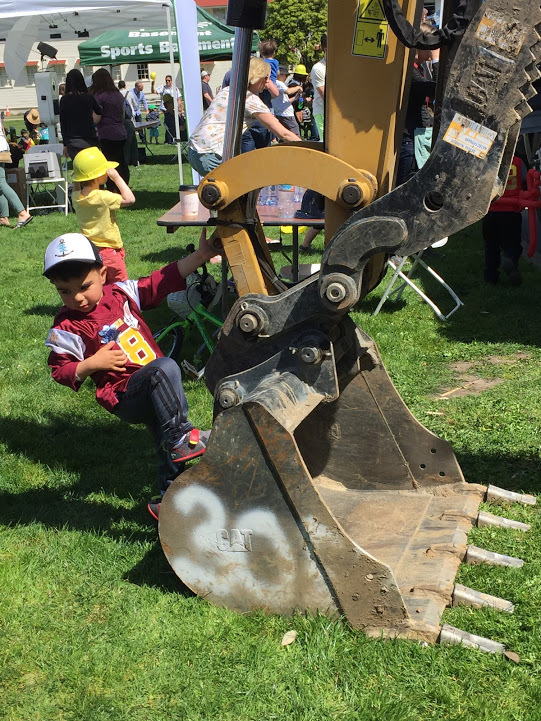 Sign us up for next year! Scarlet and Des would be in heaven there. I would too.. because.. SUN. What’s that like? Sunshine? I’m mostly kidding but boy does our winter/spring gloom make me miss CA.